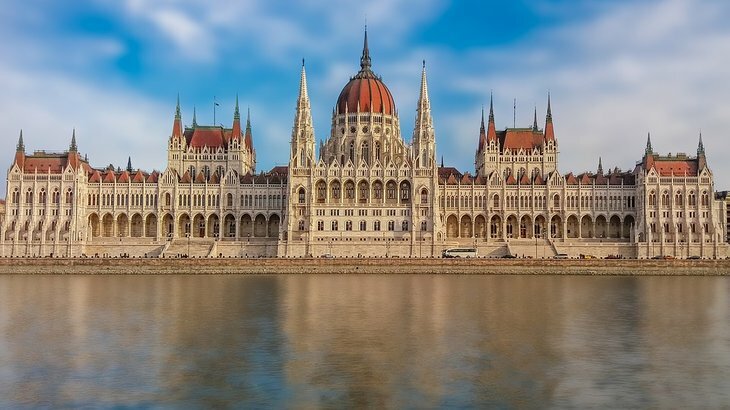 Knowledge, performance, and a competitive edge in life and on the labour market – these are the outcomes you can expect when selecting the Faculty of Social Sciences and International Relations of the Corvinus University of Budapest. The Faculty of Social Sciences and International Relations has been rated to be the country’s leading university institution for the study of the social science. The staff’s outstanding teaching quality and the innovation of its research account for its academic reputation. A strong education of an essentially theoretical nature and programmes with a practical emphasis, a high-level specialised language background and applicable skills. This is provided at the bachelor’s and master’s level and within doctoral and other specialised programmes. Our aim is to help students gain a better understanding of the rapidly changing world both at home and abroad, equipping them with a global perspective in order to meet the challenges of the day. Our teachers are consciously seeking to preserve the economic traditions of the university within the programmes developed by the Faculty of Social Sciences and International Relations. We are convinced that this provides students with a significant competitive edge in the fields of international relations, political science, sociology, communication and teacher’s training. Over the past few years, the number of foreign language programmes has increased within the faculty, resulting in an increased number of foreign students participating in the programme. Our intention is to offer a segment of each of our new programmes in a foreign language. In order to achieve this, we are recruiting an increasing number of foreign teachers. Our aim is to ensure that the quality of our education meets or surpasses European standards and to cooperate with the highest-ranking foreign universities with the purpose of offering joint programmes and degrees. The high level of teaching and achievement of our teachers is demonstrated by scholarly research within the faculty. The results of this research are incorporated into our programmes and teaching materials, which are continuously being updated. An indispensable factor in our ongoing development is the bolstering of our research in the field of applied social science as well as increased participation in international research projects. We consider it imperative that the content and results of research carried out by the different institutions achieve wider publicity through the accessibility offered by the worldwide web. The university and faculty websites are mediums through which this can be achieved. This program is designed to: educate the future managers of large and medium-sized enterprises train economists who can provide decisional support for governmental and non-governmental organizations and companies of all sizes, as well as analysts who will identify the changes and challenges of the global economy. The courses in the program range from the fields of international business and economics to international politics, reflecting upon the current issues of the world economy, impact of globalization, sustainability and professional ethics. This master programme provides a colourful and exciting economic education applying alternative approaches, e.g. advanced studies in planning and development at different levels (international, regional, and urban) for students with bachelor degrees in economics, geography or other related areas. Our students also acquire extensive knowledge of environmental economics, sustainability and a wide range of strategic planning and management skills in the public as well as in the private sector.